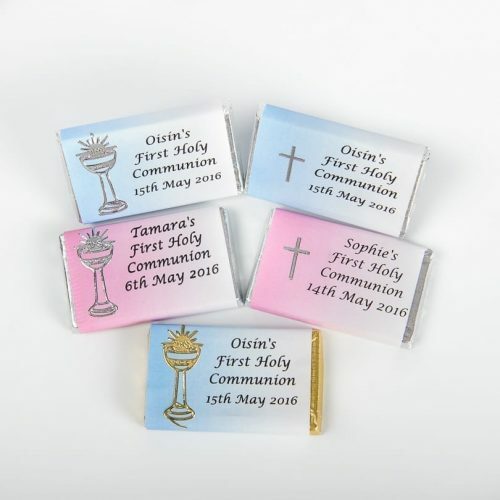 Standing 5cm tall, our hexagonal mini glass jars are an excellent addition to any occasion, communions, christenings, confirmation or birthdays. 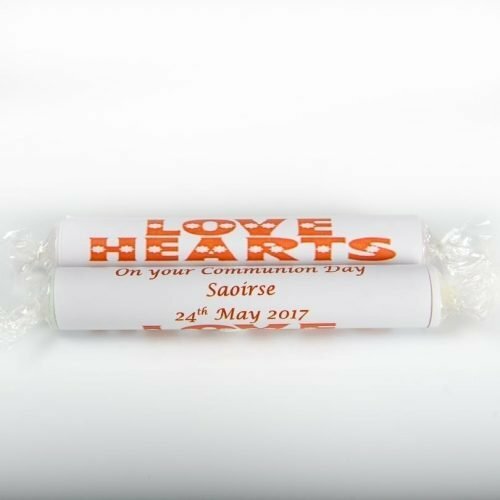 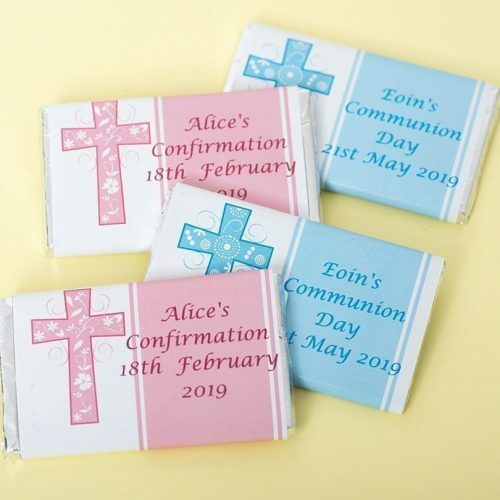 They are a great favour to the party table or to give to guests as they are leaving as a thank you present, a great memory of the day. 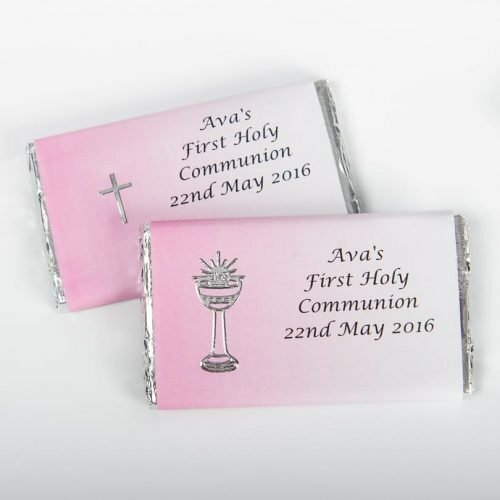 You can order them filled (with jelly beans) or unfilled. 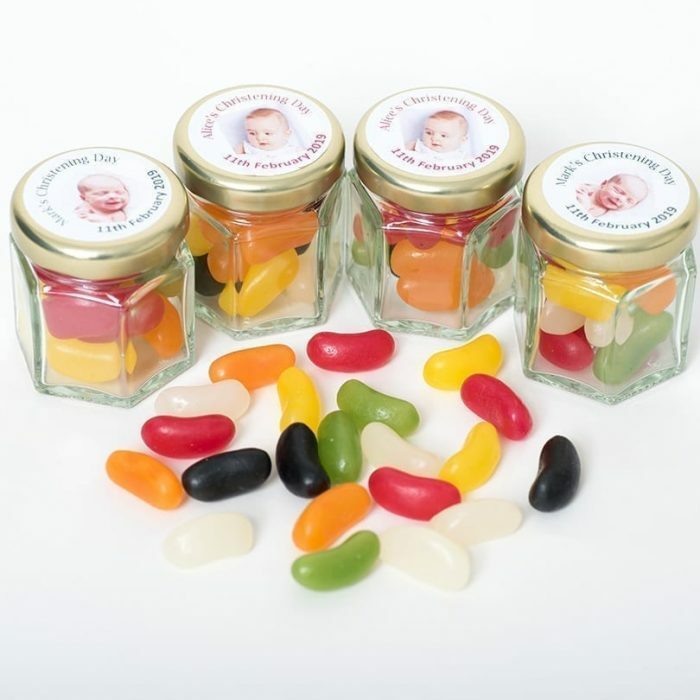 The lid has an added personalised label with the details of your occasion and photo of the special person.